For businesses with short-term needs (or those on a tight budget), we offer a variety of hire options across all categories of weighing equipment. 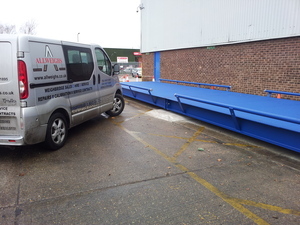 Whether you need a Weighbridge to monitor loads leaving a demolition site, or a simple shop balance to serve customers - we can provide the perfect solution at a highly competitive rate. All hire equipment is supplied fully serviced, calibrated and ready for use. Hire contracts can be for as little as 1 month, and with most equipment in stock delivery can often be made within a few working days. We guarantee to beat any like-for-like quotation. To hear more about our hire options, contact us with your requirements.